This week I've read an excellent series of posts by esteemed HR people covering the HR lessons from films and books they have watched and read this week. So far there has been analysis of Star Wars The Force Awakens (credit Doug Shaw), Love Actually (credit Pete Monaghan), and A Christmas Carol (credit Gem Reucroft). These posts have been, in equal part, inspiring, witty, analytical and terrifying. 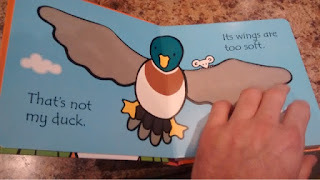 I thought I'd pick the most recent book I have read. It's called That's Not My Duck, and it's a searing insight into the world of recruitment and selection and talent management, with plenty of lessons for us all. 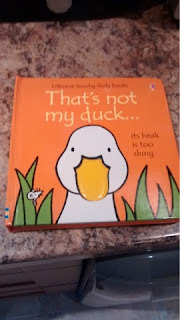 In reality it's a Xmas present for my one year old daughter, but she saw it pre wrapping and insisted I read it to her, and we both enjoyed it so much we decided we wouldn't wrap it after all and read it again. So here are my thoughts on it. The first lesson in the book comes on the cover page, where it alerts us to the fact that this is NOT the duck we are looking for, as its beak is too shiny. In fact, the author here is telling us not to accept CVs, or to be dazzled by someone's LinkedIn profile, as these are words the candidate has presented themselves in order to make themselves look good, and we should delve beneath these initial facades to make our own minds up. In short, have a thorough and robust selection process. 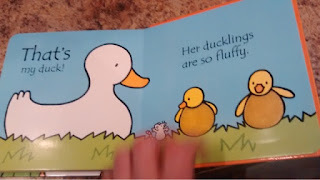 The second lesson is overleaf, warning us that this, too, is not the duck we want as its feet are too bumpy. This is a lesson to examine personality and fit in an organisation, as someone who is too bumpy may ruffle too many feathers and not fit in with the culture at all. 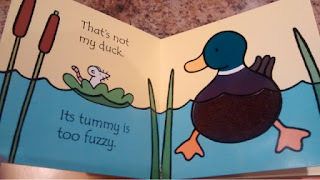 The third duck is also not the duck we want as its tummy is too fuzzy. This, I would assert, is about the importance of taking up references to avoid any fuzziness or ambiguity about the suitability of the chosen candidate. Indeed, it is also a lesson to stalk a chosen candidate on social media to see if their fuzziness is a common theme. The fourth lesson regards the duck whose wings are too soft is surely one we all already know. It's so obvious, in fact, that I don't really need to tell you here what it is, because you've worked it out for yourself. Good on you. The final lesson in That's Not My Duck from an HR perspective is when we find the duck we want, and notice here that the duck is gender specific. 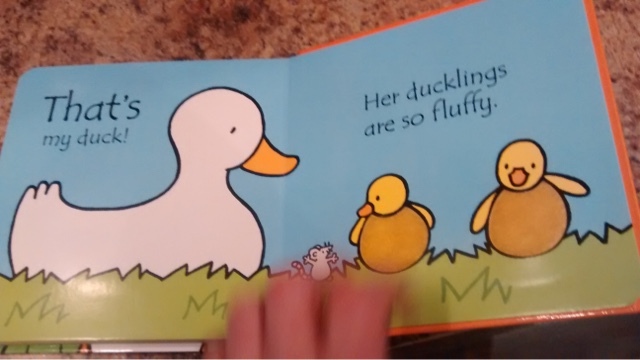 It's a female duck, and she has children who, the author points out, are so fluffy. 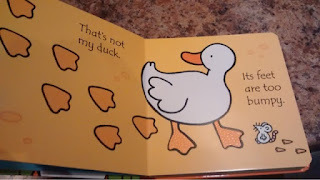 The lesson here is about equality and being mindful of discrimination. Too many managers and organisations will choose a man, or someone with no family commitments over a potential better candidate purely because their circumstances may be less complicated or the perception of being more committed. This book blows that right out of the water and tells us in no uncertain terms to think widely and inclusively about talent. And there ends the HR lessons from this book. I am imagining you will now all be updated your learning logs, PDPs and other such records. Please give me credit when you do.